A striking piece of dining furniture, the Grey Glass on High Gloss top of the Terenzo table almost floats on the clean steel legs. 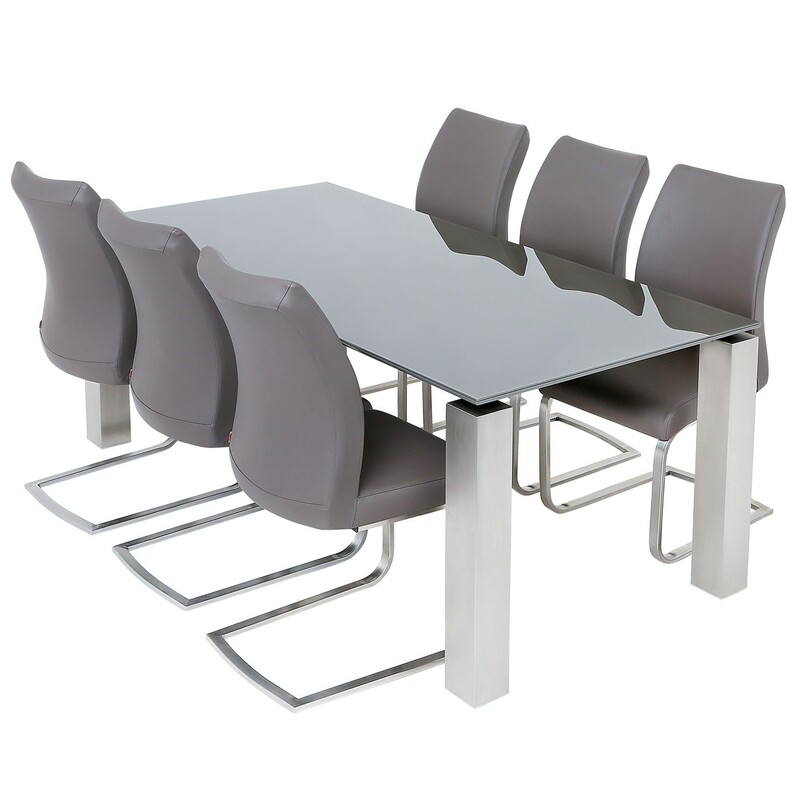 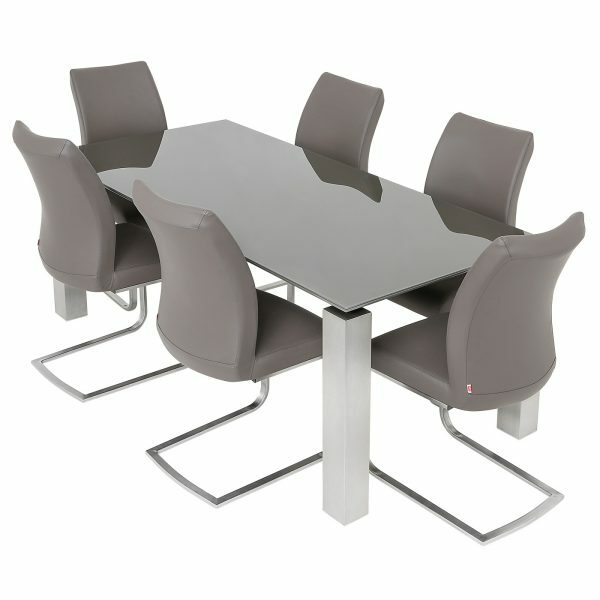 The 3 materials combine perfectly together to make this 6 seater table a great choice. 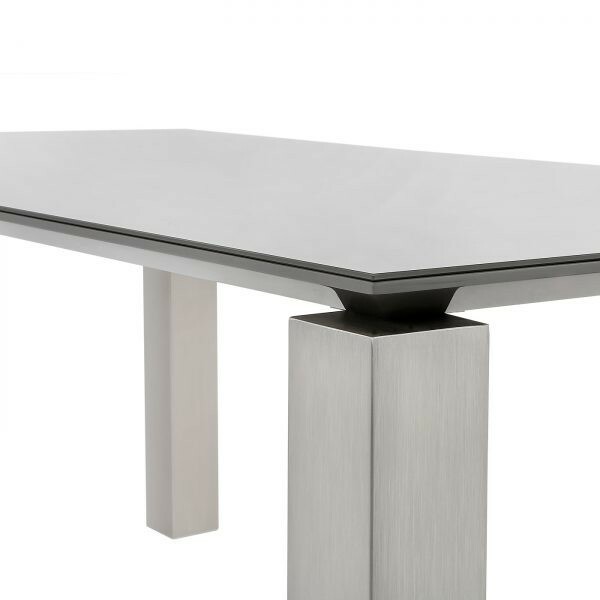 The toughened glass surface is ideal for special occasions & everyday use.